Max Freedman is a recognized industry leader focused on the Restaurant/C-Store real estate, heads the Austin office and the SIG Restaurant Group. Max is a founding partner and opened the first SIG office in Santa Monica, CA in 2009, with Chris Sands. He has excelled in building the company’s team culture and strategies you see today. 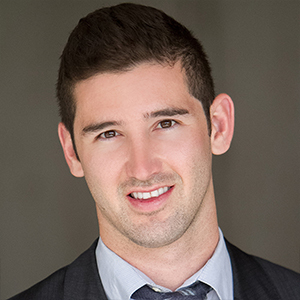 Max has a strong team mentality and has had an integral part in recruiting several agents to Sands Investment Group. SIG’s restaurant group consists of nine agents geared solely towards fast food and sit-down restaurants and are strategically located within each of the offices across the country. Max’s primary goal in the business is to create win/win situations. His resume includes working with national branded franchise operators and build-to-suit developers, creating calculated expansion plans. To date, Max has closed over 220 transactions while utilizing his sphere of influence, which includes: REITs, private real estate investment firms, and private equity firms focused in the restaurant space. Max’s experience in structuring sale leaseback transactions has developed him into becoming an industry expert on creating exit and growth strategies for his operator clients. Using his national connections and expertise, Max ensures a successful and seamless real estate transaction for all his clients. Max graduated from the University of Southern California with a degree in Business Administration – specializing in entrepreneurial studies.